Our real world depends on the digital world, which can be vulnerable to many issues including malicious software and hardware, denial of service attacks, unauthorized access, network outages, data corruption, and sensitive data being compromised by hackers. With the growing thread of digital attacks, securing digital assets has become an increasing national priority. The Certificate in Cybersecurity presents students with the fundamental principles and hands-on experience in protecting networks, computers, programs and institutional data from attack, damage or unauthorized access. This program is designed to serve the needs of individuals who would like to increase their knowledge and skill levels in the field of cybersecurity in a short time frame. 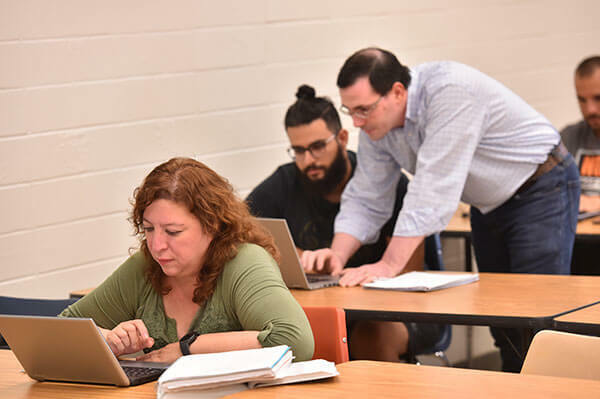 Students who successfully complete the certificate program are encouraged to earn a Master of Science in Cybersecurity, which requires just 6 additional classes and a project, or 5 additional classes and a thesis. Applicants must have an undergraduate degree (or equivalent experience) in Computer Science, Computer Engineering, Software Engineering or a closely related discipline. Applicants whose undergraduate degree is not in Computer Science, Computer Engineering, Software Engineering or a closely related discipline are required to demonstrate proficiency in the following subjects or take the corresponding prerequisite courses at St. Mary’s University or other institutions: Discrete Mathematics, Object Oriented Programming, and Data Structures. For specific admission requirements, visit the catalog.